All 2019 SPIRITUAL MENTORING SESSIONS ARE CURRENTLY BOOKED. Spiritual Mentoring–is a powerful series of 21- 30 minute phone readings/sessions. This is for those who are truly serious about changing their lives and stepping up to the next level of living an authentic life. It is part, Soul Development and Empowerment, Psychic/Intuitive Expansion,Self-Discovery and Personal Empowerment. By choosing to participate you are stepping into a powerful container of support and taking a positive and proactive step to improve your life. We will meet for 30 minutes by phone every other week to discuss life situations( health, work/career, finances and relationship) from a spiritual perspective and how to manifest a life that is most authentic for you. We will discuss living in and on purpose, your destiny and how to manifest your dreams and desires as well as any challenges or pain bodies that you face. 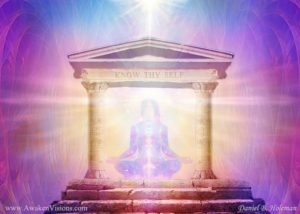 We will meditate, visualize, power up, regress and excavate as needed. Most of all, we will focus on deepening the connection to and power of Your Soul, your connection to Divinity and your Guides, Teachers, Masters and Angels, while strengthening your intuitive voice, psychic senses and healing ability.